On Monday, Carnival Cruise Line's Carnival Vista cruise ship arrived at PortMiami and kicked off its year-round schedule of six- and eight-day cruises to the Caribbean. Carnival Vista Captain Stefano Battinelli and PortMiami assistant director Fred Wong joined forces for a traditional maritime plaque exchange prior to officially welcome the ship to its Miami homeport. “Miami has been our home since our company's inception in 1972 and homeporting the new Carnival Vista here not only provides consumers with a convenient homeport with renovated facilities and numerous operational enhancements but speaks volumes about our confidence in growing this important market,” Carnival president Christine Duffy said in a statement. The Carnival Vista’s new schedule kicked off with a special six-day cruise to Grand Turk, Ocho Rios and Nassau. Once the ship returns to PortMiami, it will begin a year-round schedule of six- and eight-day cruises beginning with an eight-day voyage departing Dec. 3. The six-day cruises feature stops in Ocho Rios, Grand Cayman and Cozumel, while the eight-day itineraries visit different locations, including Aruba, Curacao, Bonaire, Grand Turk, San Juan, St. Kitts, St. Maarten and La Romana. 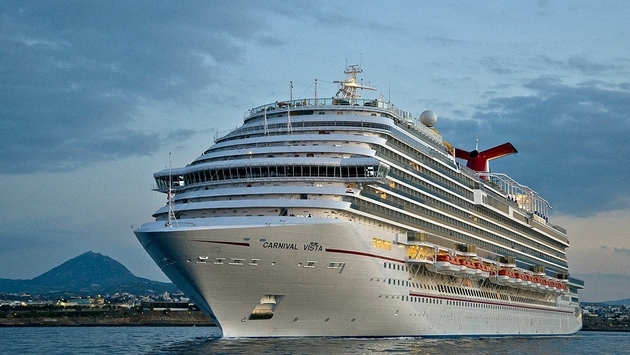 In addition to the traditional sailings, the Carnival Vista will offer special one-time voyages, including a five-day cruise departing Dec. 11 and seven-day voyages departing Dec. 17 and Dec. 24. As if sailing the Caribbean wasn’t enough to entice potential passengers, the ship itself is a marvel. Onboard, guests will find the SkyRide attraction, the world's first IMAX Theatre on a ship, the WaterWorks aqua park and the RedFrog Pub & Brewery. For more information on the Carnival Vista and its homeport of PortMiami, check out the official website of Carnival Cruise Line.